The Hills Blues Club at The Mount Helena Tavern was the birthplace of the Moonshine Trust in 2012. After meeting at an open mike night where Allan ‘Hedge’ Lester sat in for a few songs on saxes and harmonica with the already established trio of PJ Whillier on lead guitars, slide guitar and lap steel guitar and vocals, Brad (Tex) Hawdon on bass and vocals, and in demand session drummer Tony Edwards, things really got cooking. Like a fine sour mash, a powerful spirit has been distilled out of rock, blues and jazz in a trust founded on good times and good music. 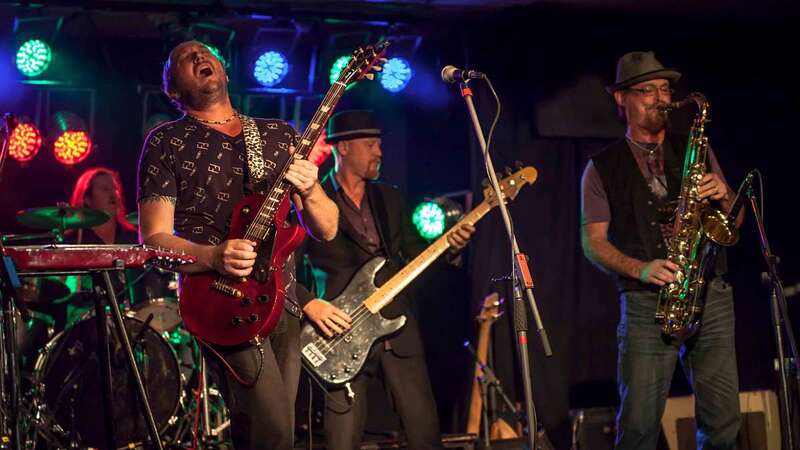 The Moonshine Trust are four seasoned musicians that have played in many bands over the journey, but have found the right fit with this combo. Oh, and we do love Bourbon Whiskey!